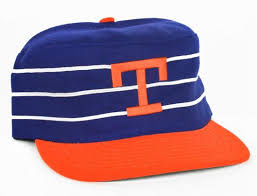 In 1969 the New York Mets changed their AAA affiliate from Jacksonville, where the Jacksonville Suns played,to Tidewater, Virginia. Tidewater is located in the area of southeast Virginia (Norfolk & Portsmouth) & northeastern North Carolina . The area got its name because of the changing tides in local rivers, sounds & the Atlantic Ocean. The Tides would play at Metropolitan Memorial Park from 1970-1992. 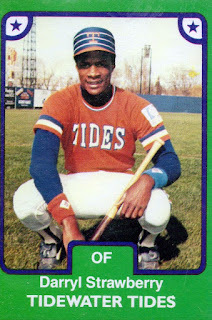 The Tides became familiar to Mets fans of the seventies & eighties, as we knew that's where the players who hadn't been traded, or later signed as free agents, came from out of the minor leagues. The Tidewater Tides got to the playoffs in their first season. After two years of losing in the first round, they got to the finals & became league champions in 1972 under Hank Bauer. Pitchers like Buzz Capra, Harry Parker (14 wins), Brent Strom, Tommy Moore (11 wins), Chuck Taylor (9 wins) & Barry Raziano (10 wins). Dave Schneck, Don Hahn, George Theodore & Jose Morales made up the offense. In 1975 the Tides were league champs under manager Joe Frazier who would get the Mets big league managerial position the next year. His MLB results weren't as good as with the Tides. Players like Roy Staiger (81 RBIs) Brock Pemberton (.297 Ave) Bruce Boisclair, Mike Vail, Ron Hodges & Benny Ayala made up the offense. Although they had limited MLB action, they never matched their minor league success. As was typical with Mets minor leagues, they had a soild pitching staff, consisting of Craig Swan (13 wins), Nino Espinosa (8 wins), Randy Sterling (10 wins), Dwight Bernard (9 wins) & Bill Laxton (11 wins). 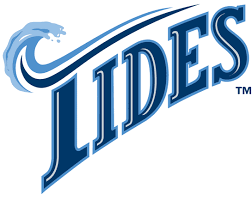 Over the next six years, the Tides would make the playoffs three times but be eliminated in the first round each time, under managers Frank Verdi (twice) & former Met Jack Aker. Aker would skipper the team to league champs in 1982 & then as the team repeated in 1983, Davey Johnson took over the helm. Many of these players were part of the Mets 1986 Championship team & quality teams of the mid to late eighties. Pitchers like Ron Darling (10 wins) Walt Terrell (10 wins) Tim Leary (8 wins) & a guy named Jeff Bittiger (12 wins) led the staff. On the field Darryl Strawberry, Wally Backman, Kevin Mitchell, Rafael Santana, Ron Gardenhire, Jose Oquendo, Mike Fitzgerald, with guys like Rusty Tillman & Mike Howard who never made it big in the majors. 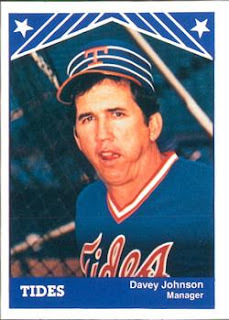 In 1986 Mets coach Sam Perlozzo took over & as the big league team won the World Series, the Tides got to the playoffs but fell in the first round. Mike Cubbage would take over & get to two finals in a row but lost both times. Cubbage was always being looked at as the Mets future manager, but it never turned out that way, except for a brief period in 1991. In the early 1990's Steve Swisher managed for two years. Then Clint Hurdle, who became a very successful MLB manager, took over as the last skipper of the Tidewater Tides. In 1992 a new ownership took over, the team moved to Harbor Park & for marketing, as well as political reasons, the changed their name to the Norfolk Tides. The next year they introduced the mascot, Rip Tide. 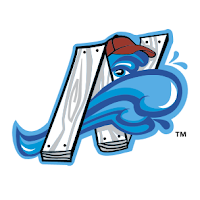 The Tides were the Mets AAA affiliate for 38 years, ending the relationship in 2006, when the Mets AAA team became the New Orleans Zephyers (2007-2008). They then moved to Buffalo (2009-2011) & then Las Vegas (2013-2018).